Even though I never seem to shut up about buying local SIM cards to stay connected, I still often find myself without Internet access when I travel. Most often, it’s when I arrive in a new country for the first time… which, of course, is usually when I need it the most. What’s the exchange rate supposed to be? How do I convince the border guard I’ve got an onward ticket? Which subway station do I need? Does that sign above the food cart say “fried chicken” or “grilled rat”? And on it goes. Mind you, it’s not just the first day or two in a place that can leave a traveller connection-less. Long overland journeys will often leave you without cell service for several hours. Perhaps your device is locked and it costs you a fortune to use anything other than Wi-fi. Perhaps you’d prefer to talk to the people around you rather than having your phone explode with notifications every few seconds. Even in this increasingly-connected world, there’ll be plenty of times on the road when you can’t get online. The good news is that there are literally dozens of travel apps out there that remain useful even when that Internet lifeline gets cut off. Here are 25 of the best of them. Let’s start with Tripit, a lifesaver on so many occasions. The app takes your email confirmations for flights, accommodation, car rental and more, and turns them into a detailed trip itinerary. I’ve lost count of the number of times I’ve needed to pull out the app to find confirmation numbers, hotel addresses and more. If you’ve got a data connection you’ll get a local map and a few other extras, but the main features work offline as long as you’ve synced your latest itinerary at some point. There’s a Pro version for $49/year that adds award point tracking, realtime notifications of delays and so on, but the basic, free app is fine for most people. There are many currency conversion apps out there, but XE Currency is one of the oldest and still one of the best. I’ve used it for years to work out how much money I should be getting out of the ATM, how much dinner is about to cost me, and pretty much any other transaction a traveller could make. Just install the app and add the currencies you think you might use anytime soon, and it will take care of the rest. Rates are updated whenever you’ve got an Internet connection. You can quickly convert between your chosen currency and all the others on a single screen, even when you’re offline. Sometimes you don’t need anything fancy, just a simple little app to take notes of what’s going on. Android devices come with Google Keep, which lets you type some text or take a photo you can then annotate. Similar features are available for other platforms with Evernote. Both apps will sync your notes with a central server when you do get connected. You’re in no danger of losing all those creative musings when you drop your phone in the toilet. Let’s face it, long flights, layovers and bus rides can get pretty dull no matter how good the view out the window is. I find those drawn-out trips are a great time to catch up on my reading, and do so in a few different ways. I regularly read around 50 sites via Feedly, which is great – but the app doesn’t work offline. To get around that, I use gReader (Android) to sync unread articles from Feedly to my phone, which I can then read without a connection. Byline is even better, for those with an Apple device. As well as the sites I read all the time, I bookmark dozens of articles each week from other places around the web using Pocket. It pulls down everything I’ve saved, ready for me to read while perched uncomfortably amongst the chickens on yet another overnight bus. For reading books, the free Kindle app downloads electronic books and magazines you’ve purchased from Amazon, even if you don’t have a physical e-reader. It’ll also sync your progress whenever you do have a connection, so you can carry on reading on any other Kindle app or device. If reading on the move makes you sick, or you’re on a night flight and don’t want to disturb those around you, opt for some audio entertainment instead. Podcasts are a great way of whiling away the hours, while drowning out screaming kids around you at the same time. There are plenty of free apps for listening to podcasts, including one that’s built right into iOS, but I much prefer Pocket Casts. It costs a few bucks, but has many more features and is just general much nicer to use than anything else I’ve found. For those who prefer audiobooks, the free trial of Audible app has somewhere over 200,000 titles to choose from. Subway systems are a great invention for locals and travellers alike – at least when you know how they work. Figuring out how to get from A to B isn’t always easy, especially once you get into a crowded carriage and can’t even see the little map on the wall. Rather than treading on a dozen pairs of toes every time you try to spot your stop, take a couple of minutes ahead of time to download an offline map. There are apps of some sort for pretty much every major metro system in the world. I’ve had this London one installed on my phone for months. A quick search pulled up well-reviewed versions for New York, Guangzhou and dozens of other cities. Once you’re back above ground, the navigation woes continue. It used to be that if you didn’t have data (or a paper map), you were out of luck. Not anymore, thankfully – several navigation apps now work well (or well enough) without a connection. Start with Google Maps. You’ve probably got it installed already, and an update earlier this year added the ability to save an unlimited number of offline maps. Since GPS doesn’t rely on the Internet, that magic blue dot will still show you where you are. CityMaps2Go, while not free, has more offline features including address searches. Here (formerly Nokia Maps) may be the best of the lot. With full offline navigation and public transport maps, plus the ability to download entire regions or countries with a couple of taps, it’s definitely worth checking out. I’ve been using it in Taiwan for the last week, and it’s remarkably good. If none of these work for you, we covered several other offline navigation apps recently as well. Paper guidebooks used to be the ultimate offline travel accessory, but even they have made the transition to the digital age. Start with Triposo, a multi-function app that takes crowd-sourced information from Wikitravel, Wikipedia and several other sites, and wraps it up into a slick, useful offline guide. Download the data pack for a given country before leaving home, as they’re quite large. You’ll get recommendations for activities, hotels, restaurants and more, including a map and basic directions. There’s plenty of background information on each destination, as well as phrasebooks, currency conversion and more. It’s an impressive app, especially given the price (free). If you’re heading to a major tourist hotspot, check out TripAdvisor’s city guides. The collection seems to be growing all the time, with around 70 cities listed last time I checked. Each one includes self-guided tours and itineraries, and a map with a “take me there” feature. The main TripAdvisor app also has a handy little offline option that lets you download all the listings and reviews for an even larger range of cities. I’m not always a fan of Tripadvisor reviews, but have found these apps useful regardless. When all you’re after is saving a bit of space and weight, the trusty Lonely Planet guides now come in ebook format (including PDF). Being able to download individual chapters is good if you don’t need the whole book. Note that some aspects, maps in particular, don’t transfer over to digital form all that well. Still, the information remains the same, so if you like the LP style, these are worth a look. Heading somewhere where you don’t speak the language? Sure, you can (and should) pick up a phrasebook to get the basics down, but there are many other ways your phone can help you figure out what’s going on. Both the Android and iOS versions of Google Translate let you download many different language packs for offline use, making quick translations a snap. You can also point the phone camera at a sign or menu for real-time visual translation. You’ll get more features with an Internet connection, but the basics work just fine without one. It’s understandable that health is a major concern for many travellers, especially in countries where communicating with a doctor may be a challenge. A few different apps can help, depending on exactly what you’re looking for. To start with, download American Red Cross First Aid, a free app with step by step instructions for dealing with several different health emergencies. The video training is a nice touch, helping you prepare in advance rather than being thrown in the deep end when there’s a problem. For those travelling with allergies, Allergy FT is a welcome addition to the health toolkit. Visiting a French, German or Spanish speaking country? The app can translate over 60 different food allergies, along with a warning message, into the local language for a waiter or street vendor. Another useful app is In Case of Emergency. It lets you enter all of your health information (allergies and conditions, travel insurance, medications etc) in one place, that can then be shown on demand to anyone that needs it. There’s even a lockscreen widget for Android that will display this information to first responders and doctors if you aren’t able to. And finally, a couple of little apps that do one simple thing well. I use World Clock to keep track of the time around the world, so I know when to call family and friends without waking them up. There’s even a home screen widget, if you find yourself checking all the time. iOS has one built right into the operating system, although for even more features, check out World Clock App instead. I’m sure there are some offline travel apps I’ve forgotten about! Which ones do you recommend? Reeder for RSS feeds and Simple Note for taking notes here. Also Spotify offline tracks for my music. Unread is fantastic for RSS too. How about an app for keeping track of travel budget and daily purchases? Something to help me stick to my daily budgeted amount? For iphones there’s Trail Wallet, which I hear is good though I’ve never tried it as it’s not available for Android. I use a really basic travel expense tracker called Travel Pocket. It’s no-frills, but does what I need to. There aren’t a lot of good options on Android sadly. We reviewed an earlier version of Trail Wallet and liked it, and the latest release is even better. You’re right about there not being much that’s any good on Android — I use one called InEx Finance because it works offline, syncs to a central server and had the categorization, exporting and multi-currency support I needed, but it’s seriously ugly and kinda glitchy. If there was something better, I’d switch for sure. I’ll second Trail Wallet been using it for two months now and LOVE it! Can’t believe it didn’t make the list. No more trying to put stuff in a janky Excel smartphone mess. It’s free to try but totally worth the $5. No more trying to convert dollars to bhat or bhat to Dong to include in the budget it handles multiple currencies on the fly! So thankful to my wife for finding it and showing it to me. Heh, it only didn’t make the cut because I chose to stop after 25 apps … could easily have kept going. Definitely a lot better than trying to do anything in a spreadsheet on a smartphone — it’s seriously painful! Looks like WikiSherpa has been discontinued. The Here maps are great! So much more detailed and faster to load than Google Maps. Just wish they had maps for all countries. Will have to stick to CityMaps2Go or Google for Japan. Good spotting — looks like they discontinued WikiSherpa between me writing this piece and publishing it! I’ve replaced that recommendation with one for Tripoto instead, since it offers similar offline features (and several extra ones) and seems to work pretty well. It’s an impressive app, actually. I really like MixZing for my music, it’s just a good way to play the files that are already on your phone, no streaming available. And for offline maps I really like Stay City Guides. You can add a bunch of different thing you want to do or take their suggestions and download the map while you’re connected. Used it when getting super lost in Venice and it was a lifesaver! Ahh, MixZing! I used it for quite a while on my old Samsung smartphone — I liked the app, but it was a bit too resource-heavy for that particular phone. It’d just lag or crash too often for my liking. I’m sure it’d be a lot better on newer hardware, though — I must check it out again at some stage. Thanks for the reminder! Not an app (yet) but I’d love to some shameless self promotion. YourFitTrip has maps of each terminal and each concourse and points to where the healthy options. While it’s web-based travelers can bookmark and add it to offline readers or just reference on the cab/in the car to the airport. It’s encouraging travelers to know the healthy spots before they just pick the closest one to their gate! Would love to hear what airports everyone would like to see next! Great post, Dave. A while back Dustin recommend Pocket and is has been an excellent addition to my phone. Lets me read articles and website-based travel guides (like wikitravel) offline. Also, they send an email each week with the most interesting articles. 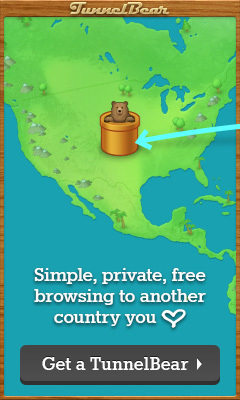 – TunnelBear, which Too Many Adapters has recommended before for VPN. Easy to use, secure browsing, and all that jazz. It even works in China (despite TunnelBear’s claim that their bears and pandas don’t get along). – SkyScanner is my app of choice for finding the best airfares. I’ve even booked via them (when the airline’s site price was higher) without problem. It doesn’t sound very offline to me. What about workout apps? Most require internet access. I’d like some quick intense workouts on my phone that I can download before I go. The only fitness apps I’ve personally used on the road are Runkeeper, 7 Minute Workout and 100 Pushups. None of them need internet access for their main functions, but they may not be the kind of workout you had in mind. Great post, Dave! I would also recommend to check out Polarsteps (https://www.polarsteps.com). It’s an automated travel tracker app that tracks your journey offline and as soon as you are online again, it automatically updates itself. Plus, it is easier to upload pictures on the go and share them with family and friends! I make all my calls with friends and family with Skype from my phone or a laptop, which is free. As long as your Internet speed is reasonable, the call quality is typically as good as a cell, plus you can make video calls etc. So, I just buy a local SIM in Mexico — which I wrote about here — and make Skype calls etc as needed from there. You’ll need to talk to Cricket, though, about how you can keep your existing US number, even if you’re not using it. There may be some cheap prepaid plan they can put you on that essentially puts your number ‘on hold’ until you return to the US. If they can’t or won’t help you, you’ll need to move to a different US cell carrier to keep your number alive. You have other options. You could try to move to (eg) T-Mobile, which also has an affordable plan that includes roaming in Mexico. They also have limits on how much you can use it outside the country, but it might be long enough to last until your return home. You could also move your US phone number to Google Voice and make/receive calls that way. Both of those approaches are more complicated to do, especially from Mexico, though, and if you’re not especially tech savvy, it may not be worth the hassle for you. Great read! Thanks for all the info. I was looking into translators for my iPhone and discovered that Google partnered with Word Lens and now has an iPhone version of “Google Translate.” The site link to Word Lens also redirects to Quest Visual by Google. The app is pretty slick. Thought I’d let you know! There are quite a few apps like that — they can’t work offline, though, which is what this post is about. This is brilliant, because often I have had issues of not being able to use Apps as most are online. I have been using Xe Currency for a few years now but Pocket Cast seems like really cool as does CityMaps2Go. I use Pocket to store articles that I can read later on when offline.